Shala & I planted potatoes a while back and didn’t really know what to expect. It was the first thing we had planted in our garden – so we were just excited to have our own thing going. When we bought our house there was a garden, full of peppers, tomatoes, eggplant, turnips and broccoli. Kind of cool, but at the same time… seemed like it was someone else’s hard work and dedication that made them. Just felt dirty eating them and watering them. Like we had stolen them and now we were holding them hostage. Ok – so I don’t do that alot. Well maybe two or three times a day. Plus anytime I got to the bathroom. Also when I am in my car. Its normal though – I think I read it online somewhere that it is. The point of this whole post, if I haven’t ran you off by now is the fact that our potatoes are growing – dispite our attempts to drown them and Izzy’s attempt to dig them up. 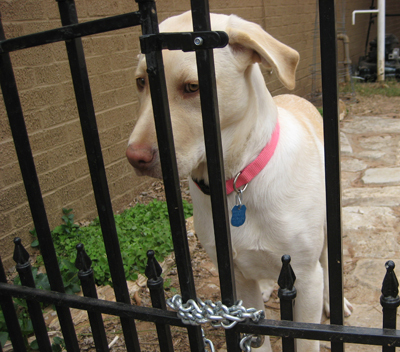 When we first planted them – we didn’t shut the gate into the garden and she got in there and we swear she dug up a few. Still waiting to see. We planted those lil guys a while back and honestly we didn’t read a thing about the upkeep or harvesting – hell, anything for that matter. Just figured out how to plant them, and I guess we thought we would figure out the rest along the way. Now that our plants are above ground – we decided it was time to start learning about them. We didn’t want to be overwatering them – spoiling the potatoes and ruining our chance at greatness. 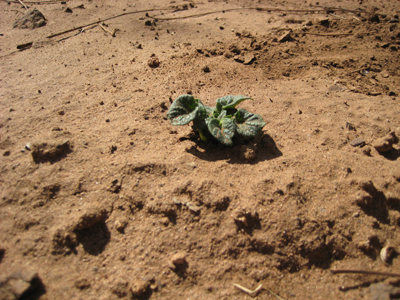 Shala looked up all the information yesterday and it is cool to know (if your growing or planning to grow potatoes). Everything from planting potatoes, watering & care and the potato harvest. Did you know that you waited for them to to flower and then 2-3 weeks after that you can harvest? Also you can wait until all your foliage dies and pull them then, if you want bigger ones. The craziest part of it all… when you harvest them, you leave them out in the sun in the garden for a few days to let them dry before eating them. Never would have known. This helps the potato skin to mature and helps it to store properly. Who would have known. 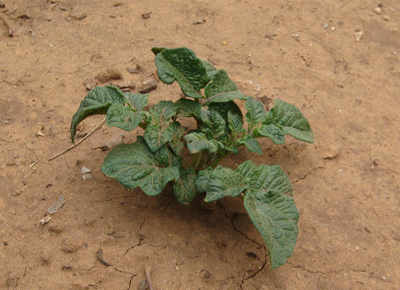 One last thing… you shouldn’t plant potatoes in the same portion of your garden more than once every 3 years. 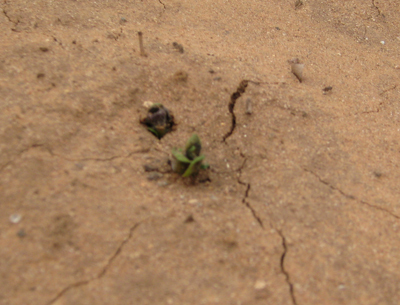 Your soil will get diseased & infested. Rotate those veggies people! Below you can see our plants at this point. We have 4 that are actually creating foliage at this time – one is pretty good size (I mean for just being in the ground a month or so), the others are just baby-babies.